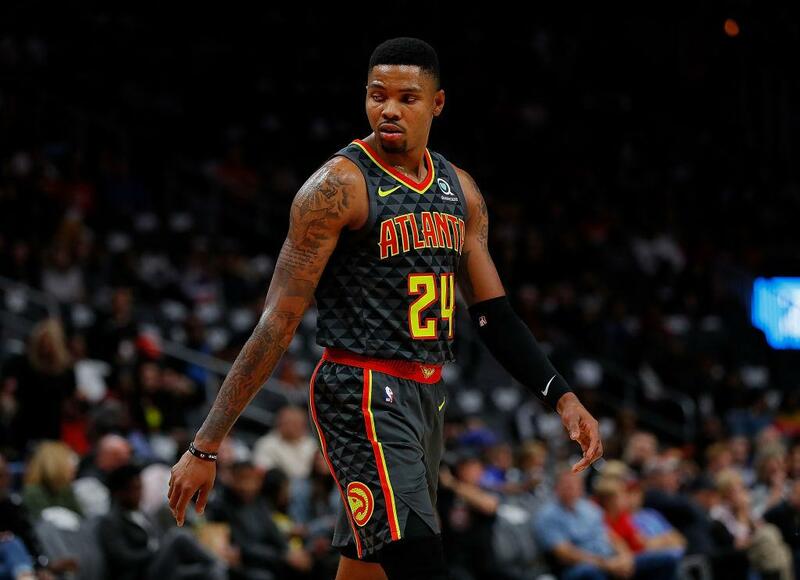 Unlike other NBA players who want to test the waters this coming free agency, Kent Bazemore has opted to exercise his option for next season. And while some would see that a rarity, it hardly comes as a surprise. Slam Online pointed out that this development may hardly be a factor for the Hawks in terms of salary. But looking ahead, Bazemore could end up being traded at some point moving forward as Atlanta heads into rebuild mode next season. Bazemore is actually one of the remnants of the Hawks team under the watch of Mike Budenholzer. Since then, it has been an up and down ride for the swingman who went undrafted back in 2012. He managed to put up decent numbers last season although an expiring contract places him on shallow water, CBS Sports reported. The decision of Bazemore is seen more of a security move on his part, at least for the 2019-20 NBA season. But looking ahead, he may have to pick up his game a notch to entice interest from other teams. Should he end up with another team, it is likely that he may end up coming off the bench – unless he joins a team that could use his veteran smarts at either shooting guard or small forward. Injuries have hampered Bazemore’s run, having suffered an injury last December. He struggled to get his groove back although he will have the offseason and at least the early part of next season to get himself going once more. And right now he may have to do that with some sense of urgency. He may start next season with the Hawks unless some deal comes out of nowhere during the break. Seeing how he holds a hefty price tag, the best is to see the Hawks deal him by the NBA trade deadline – unless Atlanta gets a good offer for the swingman. It all depends on how well he is able to work himself back this vintage form. Similar to last season, it would be best for Bazemore to condition himself mentally and get some extra practice. With a forgettable 2018-19 NBA season, odds may look stacked but nevertheless something he can still get over.